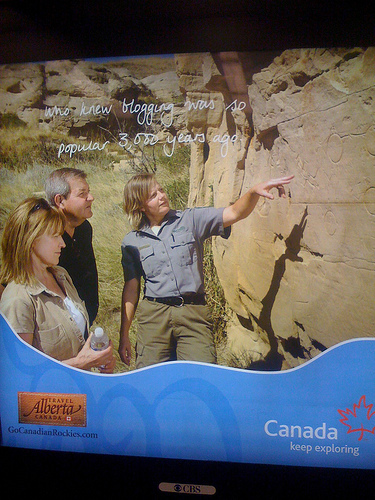 My pal Ariel Waldman over at Shake Well Before Use found this ad for Travel Alberta in San Francisco's MUNI (subway) stations which ask the question, "Who knew blogging was so popular 3,000 years ago?" 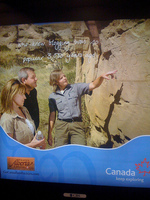 to which Ariel posits, "Apparently, Canadians believe blogging stands for stone-logging." Hmm.